New Zealand-based Southern Spars will supply the complete rig package – mast, boom and rigging – for the One Design Volvo Ocean 65 that will contest the next two editions of the Volvo Ocean Race. 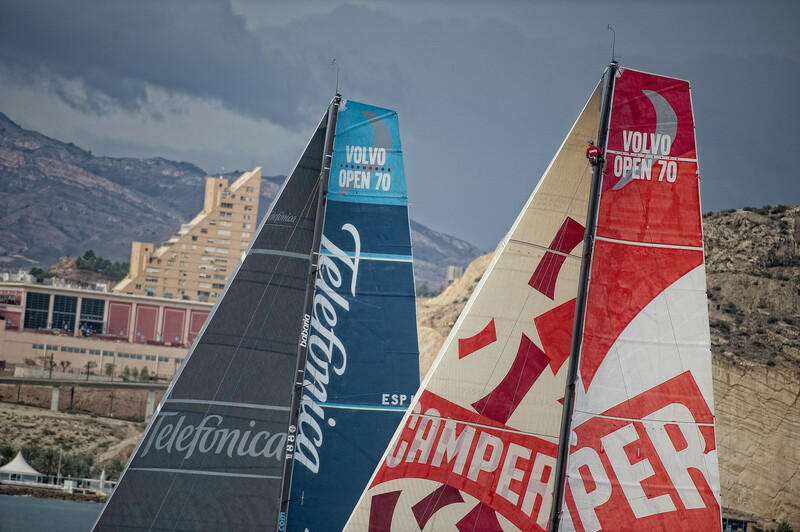 The fleet of Volvo Open 70's compete in the Iberdrola In-Port Race in Alicante. 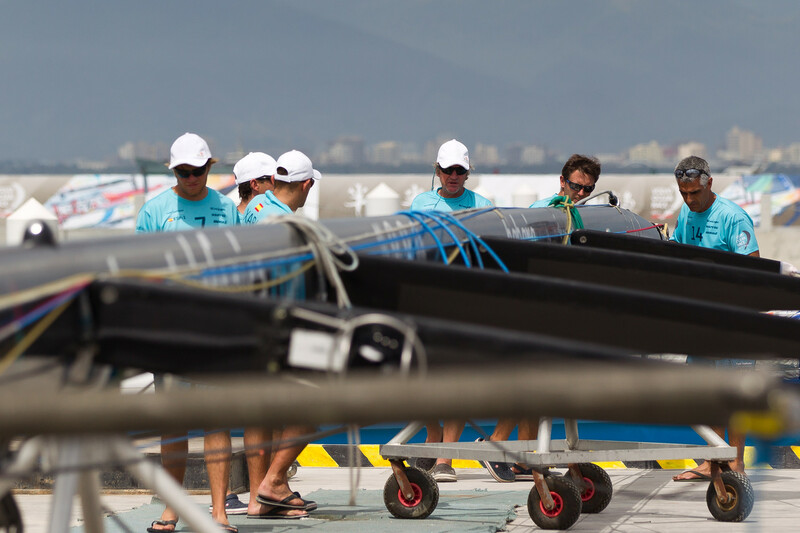 For the 2014-15 and 2017-18 races, Southern Spars will supply a high modulus mast, high modulus racing box boom and a full EC6 bundled carbon fibre rod rigging package with deflected backstays for the new 65-foot One Design boats. "We are very proud of our reputation for both speed and reliability,” said Kevin Batten, Project Manager at Southern Spars. “Telefónica and CAMPER, the teams which used Southern only rig packages in 2011-12, both had a great race round the world. There are other factors in whether they win but we played our part as their reliability was fantastic. 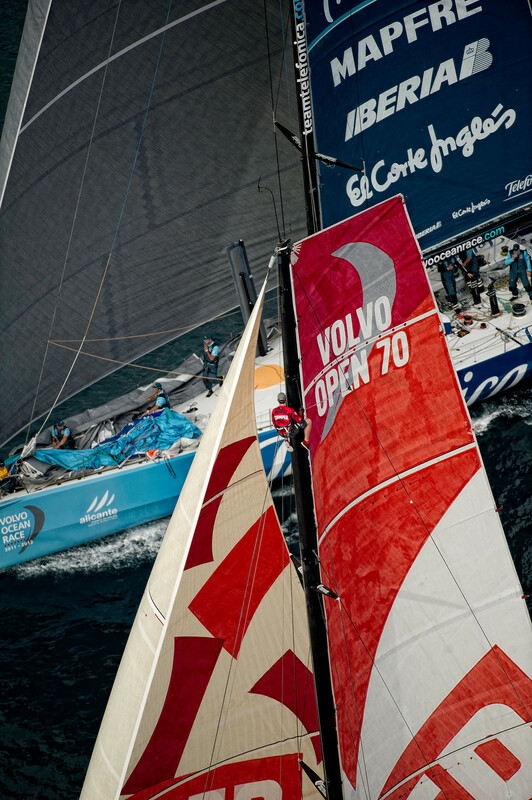 "It’s great to be selected by Volvo to be involved in the next two Volvo Ocean Races. It is a significant order for us and shows confidence from some of the world’s best sailors that we can deliver a great product for this extremely harsh environment. Climbing the mast onboard CAMPER with Emirates Team New Zealand. Southern Spars have gathered significant experience since their first involvement in the race in 1989-90, when they celebrated victory with Peter Blake’s Steinlager 2. In all, 31 teams in the Whitbread/Volvo Ocean Race have used Southern Spars rigs, including winners such as Ross Field’s Yamaha and Torben Grael’s Ericsson 4. Southern Spars signed the cooperation contract with the UK-based Green Marine, who are leading the consortium of four boatyards building the new high-performance racing yacht, designed by Far Yacht Design in the United States. 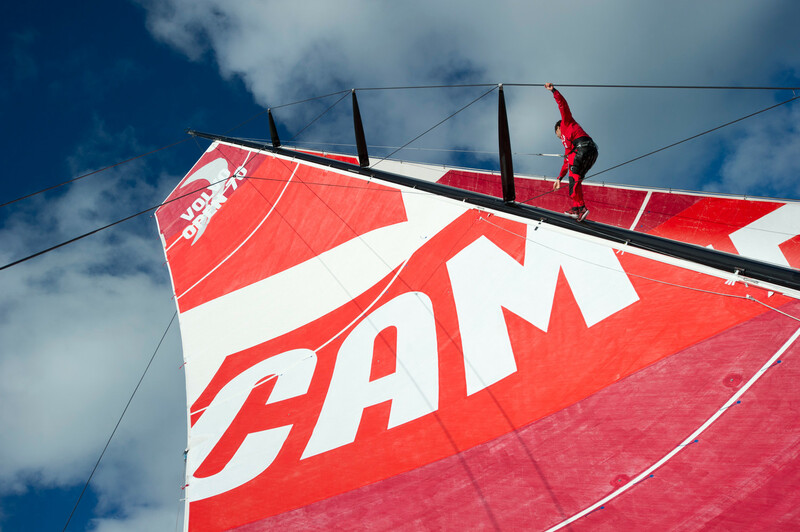 Work has already begun and the company will ship the first two masts to England in April 2013 – around 18 months before the start of the 2014-15 race. The One Design concept goes much further than just the boat, with teams for the next race also sharing on-shore maintenance services under a project led by Nick Bice. Spare masts, supplied by Southern Spars, will be placed strategically around the world in case of emergency. The Volvo Ocean Race has already announced the first team for what will be the 12th edition, with global hygiene and forests products company SCA entering an all-female outfit.